Russ may just be the most hated man in hip-hop, at least the most hated on, by both his peers and internet trolls alike. A lot of that negative energy has been self-inflicted due to many of his unpopular opinions, which he voices loudly and frequently. But, the hate he’s received has never matched the quality of music that he actually puts out. ZOO is full of everything that makes actually hating on the guy so hard to do – strong beats, infectious melodies, and above average rhymes. He just knows how to make good music and the fact that the large majority is done in-house or entirely by himself is that much more impressive. Yes, it’s still full of self-aggrandizing lyrics but in far fewer doses this time; a large majority of his focus is aimed at his peers and the ‘fakeness’ in the rap game. It’s hard to argue against the points he’s making, even if you don’t like that HE’S the one making them. 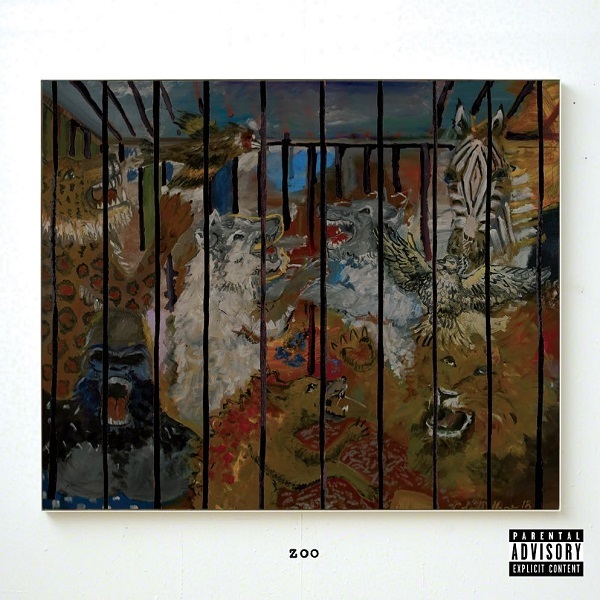 There are parts that drag towards the end and it would’ve been a stronger whole if it was about 3 songs less, but overall ZOO is his best project yet and he continues to show why he’s a real threat in hip-hop despite the hate saying otherwise. Have you heard ZOO? What’d you think about it? Is this Russ’ best collection of music to date? Let me know in the comments below and be sure to leave your own ratings and reactions for the album. 'ZOO' is Russ' best project yet and he continues to show why he's a real threat in hip-hop despite the hate saying otherwise.